Western Australia has finished with the highest rise in mining job vacancies in 2018 among Australia’s states and territories, according to the latest Mining and Resources Job Index from DFP Resources. The state recorded a 13.8 per cent rise in vacancies for the year overall despite dips in November (2.5 per cent) and December (1.9 per cent). Accounting for all states and territories, Australia’s job opportunities increased 6.1 per cent year on year to the end of 2018, driven by high industry demand for permanent positions. The story in Queensland was not as positive, however, with demand falling by 7.9 per cent across December and 16.5 per cent over the last quarter of 2018 for an overall 5 per cent decline in job opportunities for the year. DFP linked this second half fall to the Queensland mining industry’s strong reliance on coal. 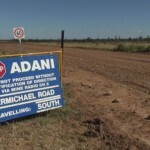 The report also cited approval delays at Adani’s Carmichael mine and rail project in the Galilee Basin as a reason for the impact on the state’s job opportunities. This sentiment echoed a recent report published by IBISWorld that suggested revenues in the black coal mining industry would fall by 14.2 per cent in 2018-19 despite increased production due to declining prices and softened demand from China. The Australian coal mining index shrunk by 8.5 per cent in December and 17.8 per cent over the quarter, caused in part by the fall in prices. Oil and gas and iron ore held relatively steady across the year.